Dr. William F. Hunt III is a William Neal Reynolds Distinguished University Professor and Extension Specialist in North Carolina State University’s Department of Biological and Agricultural Engineering. Hunt holds degrees in Civil Engineering (NCSU, B.S., 1994), Economics (NCSU, B.S., 1995), Biological & Agricultural Engineering (NCSU, M.S., 1997) and Agricultural & Biological Engineering, (Penn State, Ph.D., 2003). Since 2000, Hunt has assisted with the design, installation, and/or monitoring of over 150 stormwater control measures (SCMs), including bioretention, stormwater wetlands, innovative wet ponds, green roofs, permeable pavement, water harvesting/cistern systems and level spreaders. He teaches 20-25 short courses and workshops each year on stormwater design, function, and maintenance throughout North Carolina and the United States. 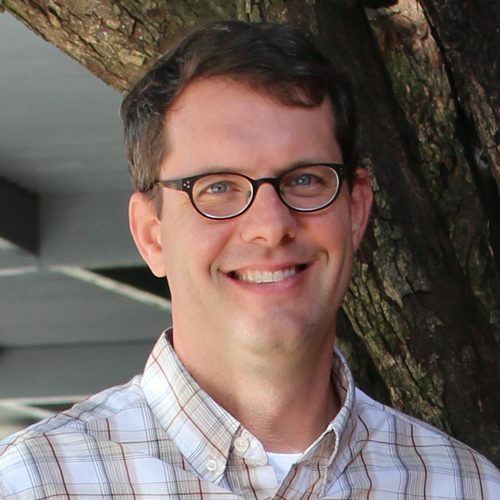 Hunt is an active member of the American Society of Civil Engineers (ASCE), where he serves on the Urban Water Resources Research Council, the LID committee, and is co-chair of the Bioretention Task Committee. He was chair of the 2nd National LID Conference held in Wilmington, NC, in March 2007 and co-chaired the same conference in Philadelphia in September 2011. Purvis, R. A., Winston, R. J., Hunt, W. F., Lipscomb, B., Narayanaswamy, K., McDaniel, A., … Libes, S. (2018), Water, 10(2). Braswell, A. S., Anderson, A. R., & Hunt, W. F. (2018), Water, 10(1). Winston, R. J., Dorsey, J. D., Smolek, A. P., & Hunt, W. F. (2018), Journal of Hydrologic Engineering, 23(4). Koryto, K. M., Hunt, W. F., Arellano, C., & Page, J. L. (2018), Journal of Environmental Engineering (New York, N.Y.), 144(6). Newman, A. P., Rodriguez, A. M., & Hunt, W. F. (2018), In World Environmental and Water Resources Congress 2018: International Perspectives, History and Heritage, Emerging Technologies, and Student Papers (pp. 87–100). Cizek, A. R., Hunt, W. F., Winston, R. J., Waickowski, S. E., Narayanaswamy, K., & Lauffer, M. S. (2018), Journal of Environmental Engineering (New York, N.Y.), 144(8). Lower Creek is a 303(d) listed stream for poor benthos health due to hydrologic modification (i.e. stream bank erosion, stream channelization, and nutrients). Its watershed drains 62,720 acres of Caldwell and Burke county, including the City of Lenoir. The Lower Creek Watershed Management Plan identifies numerous management strategies such as stormwater control measures (SCMs) or best management practices (BMPs), stream restoration, riparian buffer plantings, and watershed education programs to address Lower Creekâ€™s impairment. North Carolina State University, NC Cooperative Extension, the City of Lenoir, and Caldwell County are proposing to install one regenerative stormwater conveyance system (RSC), one community bioretention cell or wetland at the city-owned J.E. Broyhill Walking Park (Broyhill Park), and a stormwater wetland at the Caldwell County Social Services building to mitigate the effects of Lower Creekâ€™s hydrologic modification. These locations were chosen given their location within Lower Creek watershed and close proximity to the creek itself, surrounding impervious areas, and high public visibility. Public outreach will be included in the project via educational workshops and signage at Broyhill Park. Additionally, collected data will be incorporated into a state-wide workshop series regarding RSC design. Finally, a local workshop will be held for the Citizens of Lenoir. Regulations require NCDOT to ensure all post-construction stormwater discharges are conveyed without causing downstream erosion. Natural flow pathways may be altered to ensure construction is feasible; however, liability for any substantial damage is a concern. As of date, NCDOTâ€™s Guidelines for Drainage Studies and Hydraulic Design lack specific methods to assess outlets for overland erosion, resulting in evaluations that rely on best professional judgement. Somewhat related, previous research in North Carolina has included culvert assessments and stream stability as well as erosion and discharge metrics for stormwater control measures (SCMs). However, this previous research did not consider overland erosion or the effects of watershed area, hydrologic soil groups, and other NCDOT approved outlet types. This project will reduce the gap in knowledge and consist of four primary objectives: (1) determine the current conditions of NCDOT-managed outlets and identify which characteristics affect downslope stability, (2) develop a replicable outlet analysis protocol that uses a ranking system rather than best professional judgement for assessments, (3) create design standards for outlets that minimize erosion and cost, and (4) produce a Microsoft Excel-based tool that synthesizes the project results. Prior to any work, North Carolina State University (NCSU) will collaborate with NCDOT to explicitly define stable and unstable downslope receiving areas, which will form the basis of this project. Airports in North Carolina are currently considered as industrial sites for stormwater permits by the North Carolina Department of Environmental Quality (NCDEQ). This can lead to costly expenses incurred by airports to meet federally-mandated, state-administered stormwater requirements. Preliminary data collected at Wilmington International Airport (ILM) suggest that the air side of airports may, in fact, behave much more similarly to a residential Low Impact Development (LID) than an industrial facility. This is due to the disconnection of impervious surfaces (namely, the runway and taxiway), where runoff flows over large swaths of turf (or other) grass. This project proposes to examine a pair more airports located in a non-sandy part of the state (tentatively: BUY, Burlington, and INT, Smith-Reynolds in Winston-Salem), to determine if (at least a portion of) the air side of airports can be exempt from stormwater industrial permits. The assessment will be based upon hydrology (volume and peak rates) and water quality (pollutant concentrations and loads) leaving different air side landuses (ramp, taxi way, vegetated treatment areas, e.g.). The results collected herein would be compared to LID projects monitored in the Piedmont of NC and would provide NCDOT the necessary information and data to argue for a potential re-classification of airports from a stormwater permit perspective. This would, in the end, provide potentially substantial financial relief to many aviation facilities across North Carolina. The Loves Creek Watershed is impaired for habitat degradation. The Town of Siler City is interested in daylighting a portion of a Loves Creek tributary to improve water quality and aquatic health while minimizing localized flooding. This project has been funded by the North Carolina Clean Water Management Trust Fund (CWMTF). NCSU-BAE will evaluate the feasibility of daylighting the tributary and identify the best alternative to pursue (daylight tributary into meandering stream, daylight tributary into wetlands, install SCMs, do nothing). This project (â€œEvaluating the nutrient removal capabilities of the Suntree Technologies Nutrient Separating Baffle Boxâ€) aims to explore the water quality performance of a proprietary stormwater control product in Hickory, NC. As the regulation of exported nutrient pollution continues to be an area of particular focus in nutrient sensitive watersheds in North Carolina, there is a growing need for stormwater control measures, products, and devices with the capability to curtail nutrient loads from stormwater runoff. This project will test the treatment capabilities of the Nutrient Separation Baffle Box (NSBB) by Suntree Technologies as it pre-treats stormwater runoff that enters a proprietary underground detention system. The NSBB will be installed at Hendrick Honda in Hickory, NC and will treat stormwater runoff from a completely impervious watershed. Monitoring will include the collection of paired samples from 18 storm events that will subsequently be analyzed for nitrogen, phosphorus, and total suspended solids. Sand filters are a commonly used stormwater control measure (SCM) in North Carolina. They are often implemented in highly impervious areas to help municipalities comply with regulations. The North Carolina Department of Environmental Quality (NCDEQ) has identified this technology as a primary SCM or practice that can treat runoff from built-upon-areas for water quality without the need of additional SCMs. Due to a lack of North Carolina data, NCDEQ used research from sites located outside of North Carolina to establish pollutant removal credits for sand filters. There is a concern these data are not reflective of North Carolina sand filters and may skew effluent pollutant loads. This project will quantify the water quality and hydrologic benefits of sand filters with and without internal water storage (IWS). These much needed data will be provided to NCDEQ to update the pollutant removal credits for sand filters. These updates will alleviate concerns of skewed effluent loads and encourage the installation of sand filters throughout the state. Products from this project will include: maintenance agreements, educational workshops, presentations at two science and engineering conferences (copies of the presentations will be given), at least one peer-reviewed journal publication discussing the project results and conclusions, and quarterly and final reports to the Clean Water Management Trust Fund. Additionally, NCSU will create a technical worksheet summarizing design and maintenance recommendations developed from the project. NC Sea Grant and NC State University's Biological and Agricultural Engineering Department (BAE) will work with Sounds Rivers, Inc. (SRI) to conduct stormwater assessment, design and construction oversight for the retrofit of an existing abandoned and non-functioning farm pond into a forested stormwater treatment wetland. The existing pond is located on public land at Jaycee Park in Greenville, North Carolina. This project will support the City of Greenvilleâ€™s Greens Mill Run (GMR) Watershed Master Plan (WSMP) and will work to provide water quality improvements to Reedy Branch, a tributary of Green Mill Run, an impaired waterway. In addition, NCSU will support in developing educational and outreach activities. State and federal regulations require the city of Asheville (city) to manage and mitigate the effects of stormwater runoff. To comply with these regulations, the city has obtained the services of Hazen and Sawyer to design three to be determined stormwater control measures (SCMs). In addition to achieving compliance, the city wants to monitor these SCMs for water quality and hydrology. North Carolina State University (NCSU) will collaborate with Hazen and Sawyer to review the SCM designs to ensure water quality and hydrology monitoring is feasible, apply for grant fund acquisition from state sources, and assist with community outreach. A collaborative partnership under the Black Creek Watershed Association is working with the community and landowners to reduce the volume and velocity of stormwater runoff entering the creek system with the goals of improving aquatic habitat, water quality and secondary recreational contact. The Black Creek Watershed Plan identifies stormwater retrofits that infiltrate stormwater as the main management measure needed to meet these goals and remove it from the 303(d) list. A follow-up study identified an impervious surface disconnection goal related to the amount of development that occurred prior to the implementation of the Neuse River stormwater rules (Horvath 2011). While the team has been successfully and steadily implementing retrofits to reduce runoff `since 2010, macro-invertebrate assessments conducted in 2016 (May and Nov) indicate a lack of noticeable improvement in these populations. The remaining land in this urbanizing watershed continues to be developed with high intensity land uses given its ideal location in the Triangle adjacent to several parks, Research Triangle Park, and SAS Instituteâ€™s World Headquarters. A tributary to Black Creek has recently experienced severe erosion following development of a high density commercial and residential development in its headwaters. As a result, the Beechtree Homeowners Association (Beechtree HOA) is committing $20,000 to repair a section of the tributary that is eroding away their greenway. The macro-invertebrate assessment and tributary condition degradation point to evidence that current stormwater management practices may not be effectively protecting Black Creek from continued degradation. While the BCWA has been primarily focusing upon stormwater retrofits, strategies to prevent additional stormwater from running off of new development may help protect the investments made to retrofit existing development and disconnect impervious surfaces. This raises the question of how can we work with developers to provide real, measureable protection of Black Creek from development impacts? This project proposes a partnership between Beechtree HOA, the Black Creek Watershed Association, Water Resources Research Institute, NCSU Dept of Biological and Agricultural Engineering, Daly 7, a local development firm, and its contracted engineering firm, Red Line Engineering, to design, develop, and monitor a low impact development hotel site in the watershed. Daly 7 has been contracted by Marriott Hotels to develop two hotels on a parcel of land within the Black Creek Watershed, upstream from the HOAâ€™s greenway and at the headwater of the aforementioned degraded tributary. The partnership seeks to model, design, and evaluate distributed runoff volume-reducing stormwater control measures on the site with the goal of little to no additional runoff from the developed site entering the stream system. Pre and post stream stability assessments coupled with hydrology monitoring will assess the actual performance on stream health. This project is inspired by and will consider lessons learned in a similar ground-breaking low-impact development in Northeast Raleigh,The Market at Colonnade. The proposal team has met with the stormwater engineer and site developers and managers of the Market at Colonnade to help inform this proposal. This high profile project with a world-renown corporate hotel chain has a high potential to provide a model for collaboratively and sustainably managing stormwater on a highly impervious commercial use that drains to an impaired waterway. With urbanization the need for stormwater control measures (SCMs) to meet federal and state stormwater regulations grows. Maintenance is necessary and typically required by state and local regulations to ensure SCMs remain functional and continue to mitigate the impacts of urbanization. In addition to functional drivers, SCMs are also maintained for aesthetic appeal. Previous research has quantified maintenance costs for SCMs in North Carolina but (1) this study is dated, (2) there remains a lack of data regarding costs for routine, preventative/proactive, and restorative maintenance, and (3) the relationship of curbside appeal (aesthetic need) and maintenance frequency (i.e., how does the location of a SCM affect its aesthetics and the level of maintenance performed) has not been evaluated. North Carolina State University Biological & Agricultural Engineering (NCSU BAE) is seeking to partner with the Urban Stormwater Consortium (USC) of the Water Resources Research Institute of the University of North Carolina (WRRI) to answer these questions. Updated information will provide municipal guidance for budgeting and maintenance optimization (i.e., cost effectiveness of preventative versus restorative maintenance SCM maintenance), which will allow entities responsible for SCM maintenance to better allocate their resources (human and financial capital). Additionally, the researchers anticipate these findings will improve SCM implementation with respect to available resources. While maintaining the intervieweesâ€™ anonymity, NCSU will interview (1) representatives from the WRRI-USC communities, (2) at least 20 individuals who work with private firms who have been certified under the NCSU Stormwater BMP Inspection & Maintenance Workshop series, (3) staff from the NCSU and University of North Carolina-Chapel Hill stormwater maintenance groups, (4) employees of the North Carolina Department of Transportation (NCDOT), and (5) a few out-of-state maintenance-conducting entities. A standard set of questions will be developed, including (but not limited to): how many practices are maintained, the characteristics of the maintained practices (e.g., age and watershed size), the location of the maintained practices with respect to the parcel/catchment, the types of maintenance tasks needed for a particular SCM, the frequency and time for each maintenance task, the costs associated with each task (and cumulatively each practice), and whether certain (more expensive) tasks can be avoided by conducting alternative (less costly) maintenance. Maintenance will be determined for both highly visible (those meeting important aesthetic needs) and low visibility (and consequent lack of aesthetic appeal) SCMs. Descriptive statistics (e.g., average, range, etc.) of the maintenance costs will be reported for each practice (and how it might differentiate among land uses). These results will be disseminated through a final report to WRRI, a peer-reviewed journal publication, state and national conferences, and the NCSU Stormwater BMP Inspection & Certification Workshop series.